A cosmetic line formulated to perfectly match your makeup needs! From ready-to-wear to custom blend, the artistry and quality of this internationally awarded cosmetic line is scalable to your educational and clinic requirements. In 1996, makeup artist and cosmetic industry veteran, Mary Swaab founded Colorlab. Swaab developed a patented system that allowed makeup artists to create custom lipsticks in any color and texture right at the cosmetics counter. 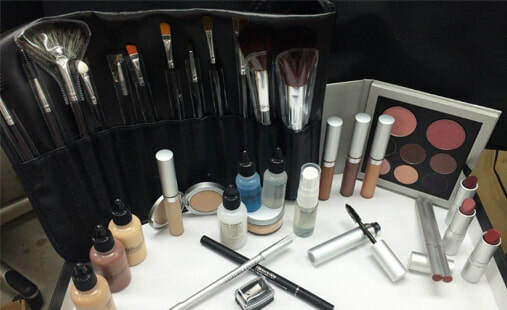 Colorlab quickly earned its reputation as a leader in the industry creating a full line of ready-to-wear, airbrush and custom blend cosmetics. The products are designed for women of any age, ethnicity, skin tone and type. Colorlab gained recognition in Vogue, InStyle, and Mademoiselle magazines. Mettle by Colorlab is a scalable solution with options for every school. The custom blend foundations, lipstick and/or mineral powder systems provides the educational opportunity to increase the technical skill level of students and set your school apart from your competitors. Students receiving this advanced education improve their employability by having acquired skills typically not seen in entry level applicants. In addition to the complete line of Mettle by Colorlab brand of RTW and custom blend cosmetics, schools have the opportunity to private label. The Custom Blend cosmetics consist of all types of liquid and mineral foundation, tints, concealer, blush, bronzer, highlighter, eye shadows & liner, lipstick, stain and gloss. The Ready-to-Wear Line is also a full line of foundation, concealer, blush, bronzer, highlighter, eye shadows and liner, lipstick, stain and gloss. Products are not tested on animals.